A Samoa Women’s Association of Growers (SWAG) farmer, Papali’i Mele Maualaivo, believes Samoa’s coconut plantations can support the level of coconut basket production, contrary to concerns that the overharvesting of leaves might negatively impact coconut production. Nearly two weeks into the nationwide ban on single use plastic bags, coconut baskets, or ato launiu are looking like a popular, traditional alternative for groceries. Papali’i and her father Tuiatafu Nusi Maualaivao designed and began distributing a unique style of basket, one that looks more like a conventional shopping bag. It is taller, with a tightly woven base to stop anything from falling out. 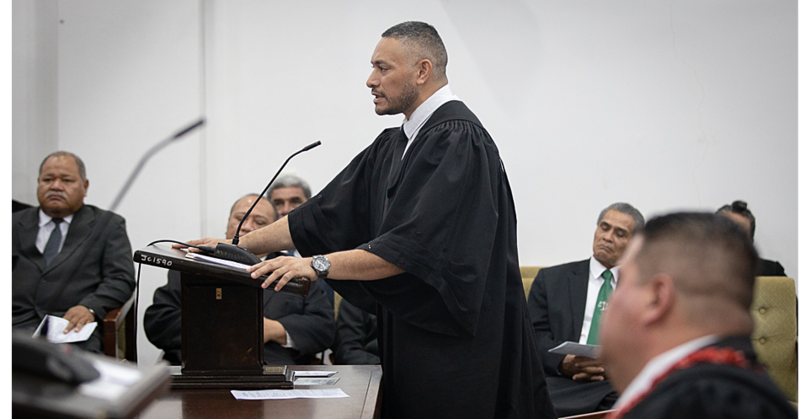 “I said daddy, imagine you’re carrying lip gloss and you didn’t want it to fall out of the bottom of the ako launiu,” Papalii said, explaining how they reached the design. 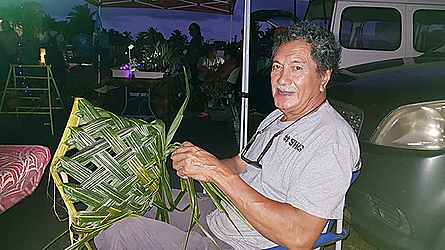 Papalii said she is not concerned that the harvesting of leaves for baskets could seriously impact the health and productivity of Samoa’s coconut population. She said an acre of coconut trees could produce 600 ato launiu, using just one leaf per tree. The average Sunday market would only need 200 or 300, she continued. An adult palm leaf can make between four to six ato launiu, meaning each tree should not have more than one or two leaves harvested from it per month. To worry about the impact of leaf harvesting on the coconut population is over simplistic, and does not account for the dozens of other reusable bag options in the market. “It’s a glass half full empty attitude. If you don’t like that approach, then there are plenty of options out there,” she said. According to the International Panel on Climate Change report, the race to stop the planet from warming more than 1.5 degrees is the most pressing problem facing the world’s population. Curbing single use plastics use is just one element of getting there. 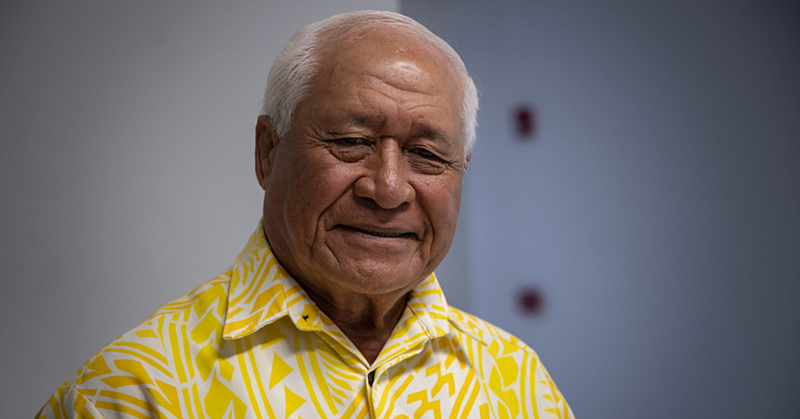 “The most important thing to take is we need to be more environmentally conscious and we can’t wait for others to provide solutions,” Papalii said. Papalii and Tuiatafu make their baskets for the SWAG Sunday morning market, and share them with other vendors there. They give them out free with any purchase, and have noticed the influence they have had. “Now we see lots of people with reusable bags of all kinds. 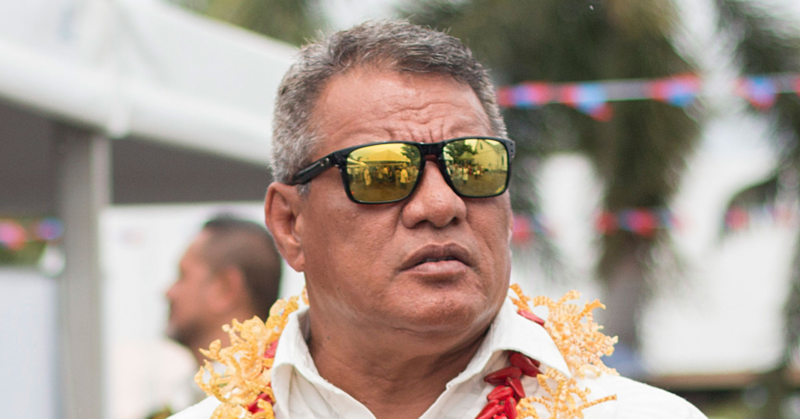 I don’t have to give regulars an ako launiu, they have their own,” Papalii said. The ato launiu is a uniquely Samoan response to a plastics problem that sometimes seems insurmountable. Papalii said what she really wants is for people to find reusable solutions that work for them, whether that is a paper bag or cardboard box, or reusable bag. But for the Sunday market, the ato launiu is perfect. “We are promoting this because it’s a Samoan tradition, it’s Samoan made and biodegradable, it was not introduced to us,” she said.